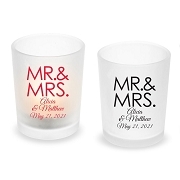 Round up your team! 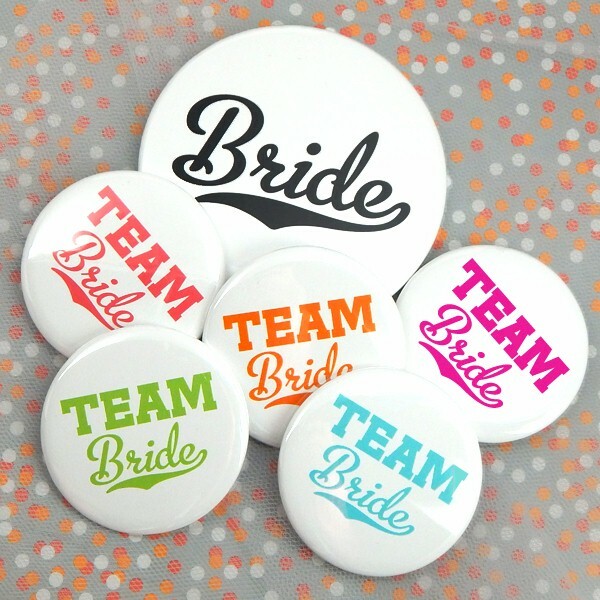 Our Team Bride buttons are a fun and festive way to start off any bridal shower or bachelorette party! 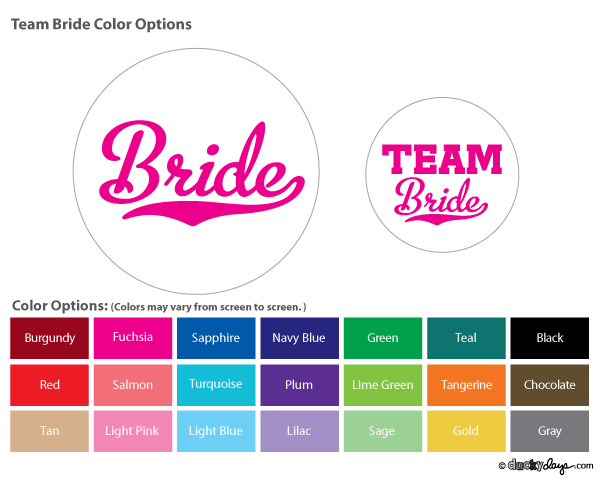 One FREE extra large (3.5”) "Bride" button for the guest of honor is included in each pack of twelve (2.25”) "Team Bride" buttons to hand out to her nearest and dearest. 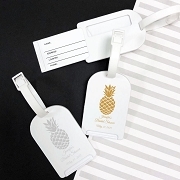 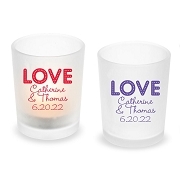 Each button arrives pre-assembled and features a solid white background and collegiate style text with your choice of color from our wide range of options.